There seems to be something of a debate within the Nintendo fan community - and particularly amongst gamers as a whole - as to whether or not Super Smash Brothers Ultimate constitutes a brand new game or falls more under enhanced port or “remaster” territory. On one level I can understand these notions of this being a glorified revamp. I mean, my initial reaction to the E3 2018 hands-on demo was essentially “welp, it’s more Smash Brothers. Fun, but still Smash Brothers.” The gameplay was certainly recognizable and pretty standard, with nothing too groundbreakingly novel on display. The two stages we tried - one being a multi-leveled Splatoon area, and another a more typical battle arena - were definitely pretty, colorful, and vibrant, but in more of an incremental sense rather than a revolutionary graphical leap. Though I suppose the old saying comes to mind here, “if it ain't broke, don’t fix it.” Besides, while my 20 minute demo perhaps didn’t do the greatest job of showcasing it all, the game contains a wealth of new features, a massive roster of diverse fighters, and some revamped mechanical touch-ups. Ultimate also embraces the tight and fast-paced mechanics that Melee purists swear by, and even the more casual fans often concede is the superior style in which to experience Smash. Gone are most traces of the slower-paced floaty physics Brawl was notorious for. This latest entry looks to flesh out the gameplay a bit more with a wider variety of distinct and more refined character moves, additional items, and new stages, while embracing the formula that made the series so memorable. 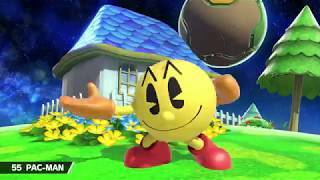 There’s also the introduction of pesky fake Smash Balls which look slightly different in appearance and can end you quickly if you don’t pay attention. You’ve got subtle mechanical nuances like short hops, multi-directional air dodges, and revamped “perfect shields.” These shields allow for a counter attack if released at the correct time during an enemy strike. There are also several new stages, including basic battlefield platform layouts for each of the included environments. These are essentially naught but the same multi-platformed layouts decorated with different backdrops and themes from various Nintendo games. Still, if you’re looking to duke it out on a basic, closed-in stage without all the gimmicks, they serve to spruce up the visuals that expand beyond the dullness of the simple platform levels found in the prior games. You can also say for certain that this Smash will include the “Ultimate” lineup, as it boasts every single character included from prior entries, plus a couple more for good measure; specifically Splatoon’s Inklings, and Metroid’s Ridley. This brings the final tally up to a whopping 65 fighters. 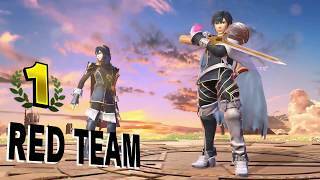 These apparently include the game’s newly coined “echo characters” which are essentially additional fighters that come with minor variances but otherwise play similar to their counterparts, sort of like Pit vs Dark Pit. The inclusion of Daisy as a sort of alternative to Peach is perhaps the prime example of this. Since Nintendo’s boasting a lineup of every character, this means fighters that took a Smash hiatus, like the Ice Climbers and Wolf, make a return here, and both Ike and Roy, two of my favorites, will co-exist. And while there will still be the amusing selling point of playing as a variety of non-Nintendo characters like Cloud, Snake, and Sonic, the big N apparently has somewhat come full circle, revisiting more of their own lineup with returning Nintendo characters, and new ones like Daisy and Ridley to round things out. Speaking of Ike, I got a chance to play with the new Ultimate version of this sword-swinging warrior at E3. After I shook off my Smash Brothers rust and got acquainted with using a Switch pro controller rather than my typical go-to Wavebird, I quickly found myself having a smashing good time with my 3 other player opponents. As a side note - the game will supposedly offer Gamecube controller support; good news to those who live and die by that method. This is provided you’re cool with shelling out for a Switch controller adapter. The more I mashed away, the more the mechanics felt quite familiar, semi-simplistic, and tight. At the same time, it looks like they’ll offer enough subtle complexity beyond mindless button mashing to allow room for the diehards to flex their competitive muscle online. There were definitely Melee vibes - the Smash eSports gold standard - only this time they were laced with a crisper, prettier aesthetic, and an even greater variety of features. Ultimate seems to take the strongest elements from both Melee and Smash 4 in particular, and reforms them into, well, the “ultimate” Smash Brothers experience. Our matches consisted of a 4 player offensive frenzy that had people flying all over the map. I didn’t quite do Ike justice in our first game, but I got in my share of lethal hacks, including a devastating final-smash wallop on two of the unsuspecting combatants playing with me. Our damage percentages piled up quite quickly as we hacked, slashed, dashed, and punched our way around the map. This chaos was interrupted only by the occasionally spawning Smash Ball that drifted all over the place. While it was fun to take a trip down memory lane with Ike, I also wanted to make sure I got the opportunity to play as one of the game’s completely new fighters. The Inklings seemed like an amusing choice, though I opted for the super-powered beast, Ridley. He was quite the powerhouse, as I managed to knock opponents around with plenty of brute force despite my inexperience with the character. I mainly just spammed my slide and fire blast moves, and ended up holding my own pretty well despite being a rather big target much like DK or Bowser. 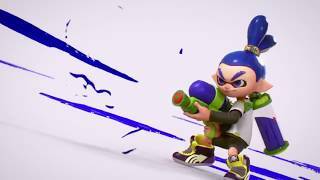 The Inkling, picked by one of the Nintendo reps who battled against us, similarly takes on a unique dynamic that adds an element of strategy. They come with an ink tank from which most of your impactful attacks run on, as a sort of fuel. So you’ll have to mind your ink bank as you fight, since spraying your opponents with ink will deal a lot of damage, though if your tank hits empty you’ll be rendered much more vulnerable and weak. These squirt gun-sporting squids also come with the ability to encumber foes by dowsing them in ink, similarly making them more vulnerable until they’ve been cleared of the stuff. Super Smash Bros. Ultimate should no doubt satisfy diehards of the series, as well as general fans of party and fighting games. It looks to do so with a foundation of structurally sturdy, fast-paced mechanics, and a seemingly endless plethora of features including characters, stages, settings, and items. In an age where eSports and tournament events are gaining influence at a rapid pace, Ultimate should fit right into the scene and provide a solid platform of choice for those who yearn for competitive gaming. Though it should also be more than sufficient for those who just want to kick back and have a wacky good time with their family and friends. Look to step back into the arena when the game hits the Nintendo Switch on December 7th, 2018. "The definitive entry in the Smash Bros series"